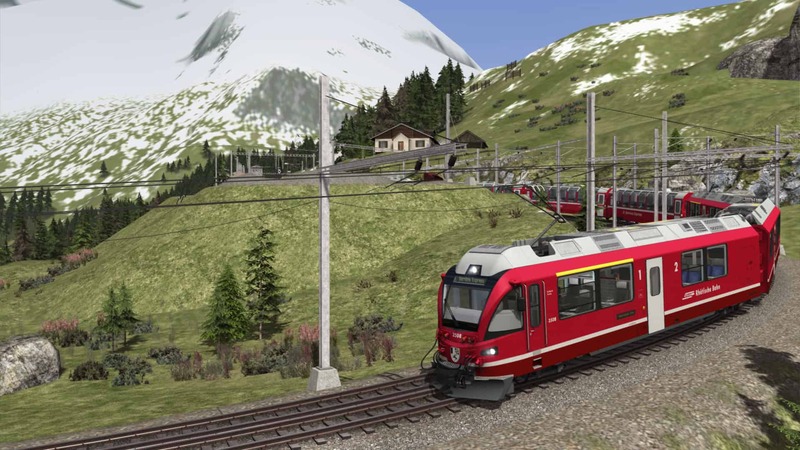 Climb the mountains and explore stunning Switzerland – Thomson Interactive’s popular line-up of Swiss add-ons continues with the famed Bernina Pass, which is out now for Train Simulator. 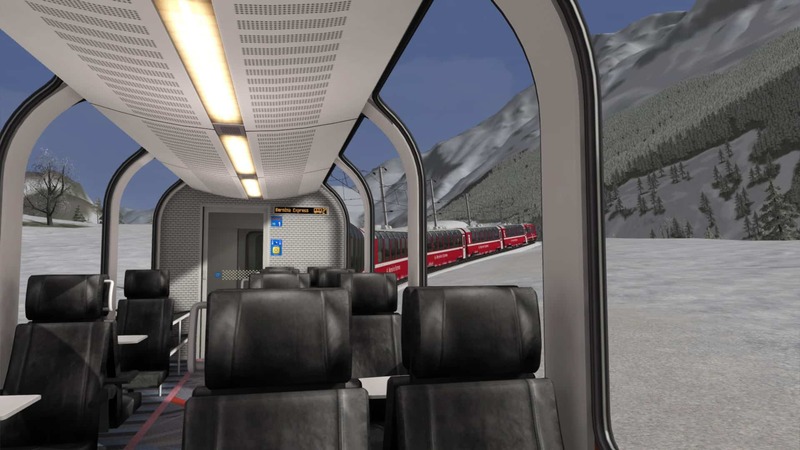 Things take a turn for speed to begin with, however you’ll soon be riding the steep climb up towards the top of the route, and depending on the time of year, you’ll see the landscape change into something of a wonderland. 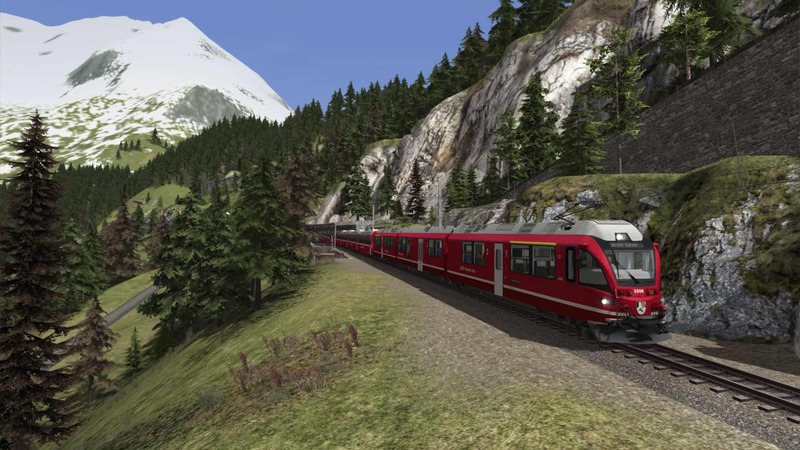 It is then hairpin central as the descent begins, before finally landing at the base of the valley in Poschiavo. 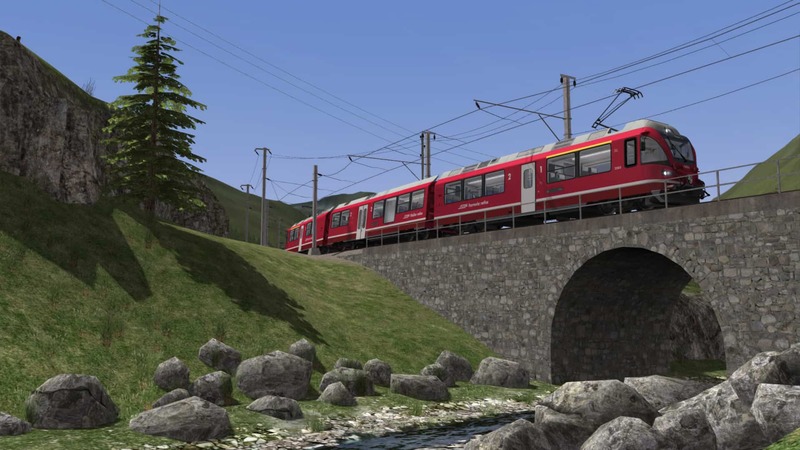 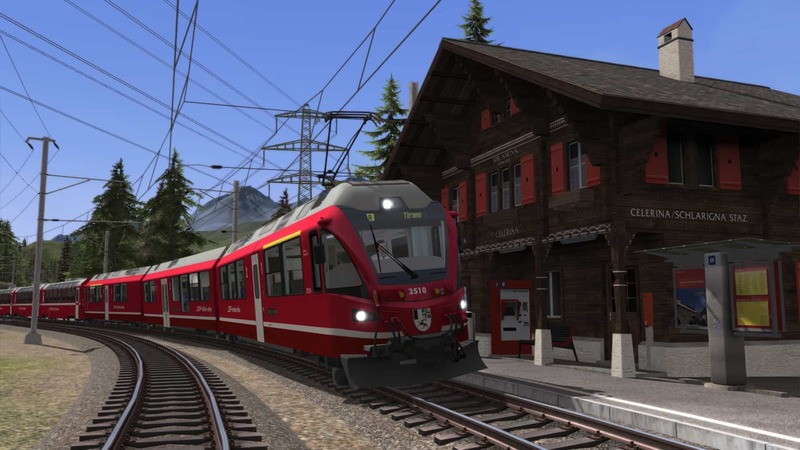 Stunning throughout, Thomson Interactive’s Bernina Pass deserves attention in droves, so whether you’re a fan of the existing Albula and Arosa Lines, or looking to try something new, this latest and greatest route ought to find a place in your collection! 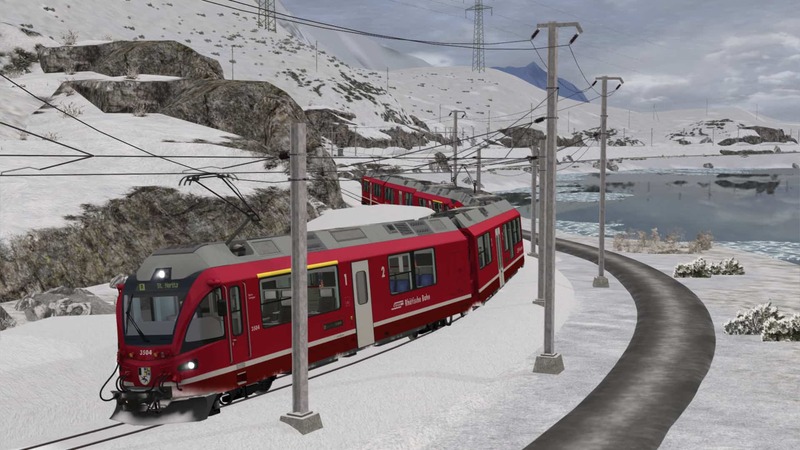 Both the now-available Bernina Pass, and the previously released Albula Line, share track between St. Moritz and Samedan, and so in a few days, a merged route will be released for free on the Steam Workshop that brings you over 100km of quick drive-enabled, seamless, scenic Swiss rail. 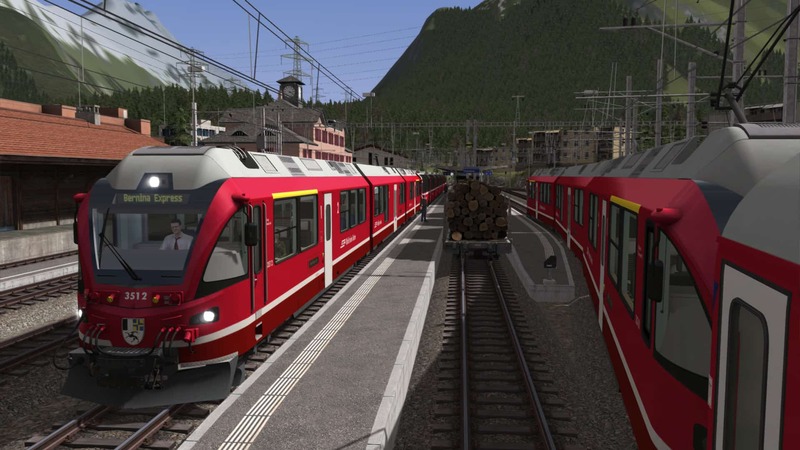 You will need to own both the Albula Line, and the Bernina Pass to play the merged route. 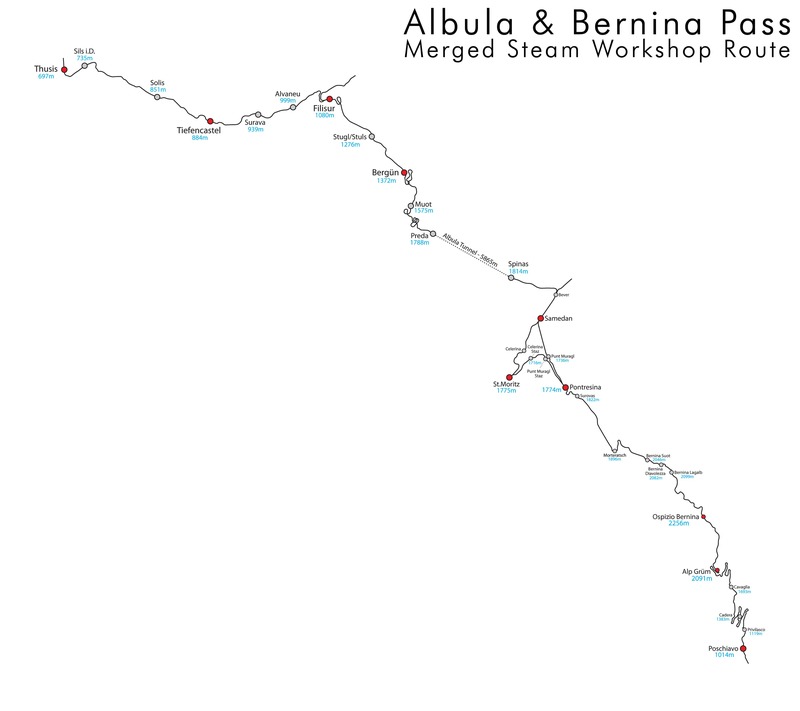 To see when the merged route is available, keep an eye on the sources below.